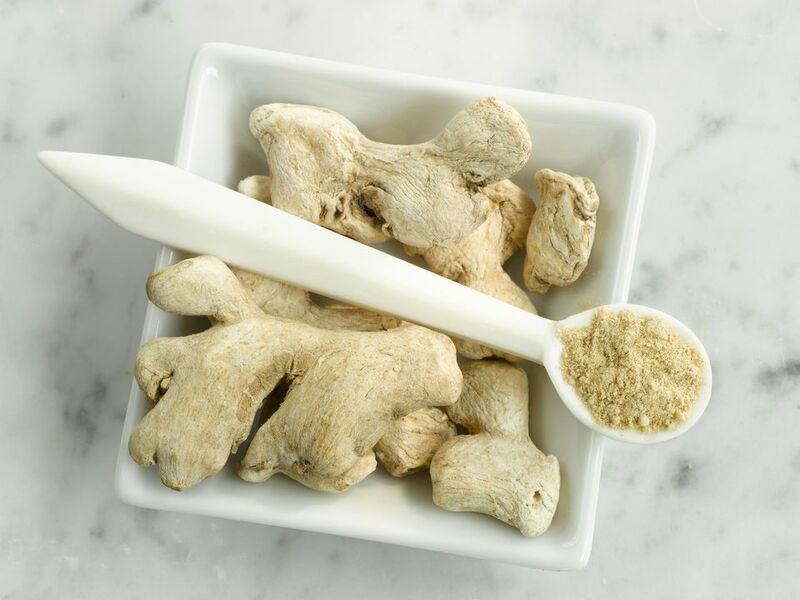 Ginger is a wonderful, warm spice with many culinary and medicinal uses. A must for the holidays when it comes to gingerbread and ginger cookies, it is also a key ingredient in many Asian cuisines. But, it is also widely used for its ability to settle upset stomachs and its anti-inflammatory properties. Nothing beats the sweet and spicy flavor and aroma of fresh ginger, but for those who simply can't use up their ginger root before it goes bad, drying ginger is a perfect way to make it last. The fragrance and potency of freshly ground ginger powder blows the store bought version out of the water. Drying ginger is easy, even without a dehydrator. First, when buying ginger, test it by snapping a small piece from the root. If it snaps clean off, without any stringy fibers, the ginger is fresh and will work well for drying. If there are a lot of fibers, then the root will be more difficult to grind into a fine powder. To prepare the ginger for drying, clean it well and peel it, using a sharp knife, a vegetable peeler, or simply a metal spoon. Then, slice the ginger as thinly as possible. The thinner the slices, the more quickly and evenly they will dry. Once the ginger is dry, remove it from the oven or dehydrator, and let it cool. After it has cooled, check it again to be sure it is completely dry. (If it isn't, pop it back into the oven or dehydrator for another round of heat.) It is important for the ginger to be completely dry before storing or grinding because any residual moisture could cause mold. The dried ginger slices are great for making ginger tea. They store well in an airtight container for 5 to 6 months. To make powdered ginger, grind the dry slices in a coffee/spice grinder until you have a fine powder. After grinding your powder, let it cool to room temperature before storing in an airtight container. Some people like to grind only enough ginger to last about a month. However, grinding your ginger in larger batches and then storing it in an airtight container in the freezer to keep it fresh is a great alternative.